Harry buys a pet shop as an investment in the hopes of flipping it for quick money. His stingy ways soon leave him without any employees and now must find someone to fill-in. He convinces Lucy into working for him on the weekend, and warns her to be especially nice to dog trainer Bob Williams, who might buy the shop. When Lucy and Kim take over washing the dogs, the suds machine goes berserk. Special Notes: It was about this time Lucille began relying totally on cue cards. 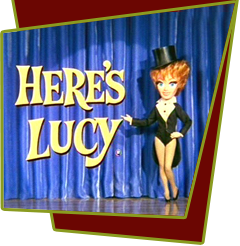 In the beginning of Here's Lucy, she not only knew her lines but everyone else's. She wanted to observe what was going on without a script in her hand. The more she used the cue cards, the less she was in the reality of the scene.